Don began his career in the electrical industry in 1980 working for a local manufacturer’s rep agency. 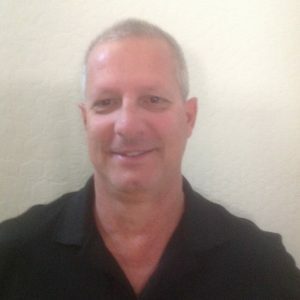 In 1987, Don joined Hubbell Wiring Device Division and covered the Arizona and Las Vegas territories. He was promoted to District Manager in 1993 and was responsible for factory directs and agents covering the 10 mountain states. Don and his former partner purchased Allied Geis Agency and renamed the company to Allied Group Sales on July 1, 1997. Don has been an active member in the electrical industry having served as a Cadre member in The Electric League of Arizona, has served two terms on the NEMRA Board of Directors, is a member of Netcom One Manufacturers Rep Networking Group and is on several manufacturers’ rep councils. Don is married to Diane (Chuck), enjoys traveling, golf, music and various sporting events. He has two daughters, Andrea Hobson, a Realtor married to Travis Hobson both of which graduated from ASU in 2009 and now residing in Nashville with their son Cameron born October 1, 2015 and their daughter, Lilly May born March 22, 2018. Cortney, who graduated from ASU Cronkite School of Journalism in December 2013. Cortney also resides in Nashville where she currently is a loan processor.